It will be a mix of textures instead of my usual prints: mustard yellow corduroy on one side and burgundy linen on the other with a turqouise/teal felt flower. I'm excited to put it together! 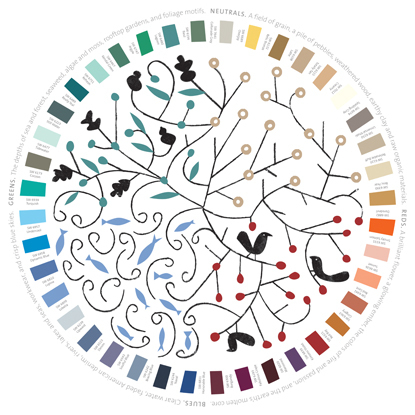 And on the subject of a "painterly approach" to color forecasting ... 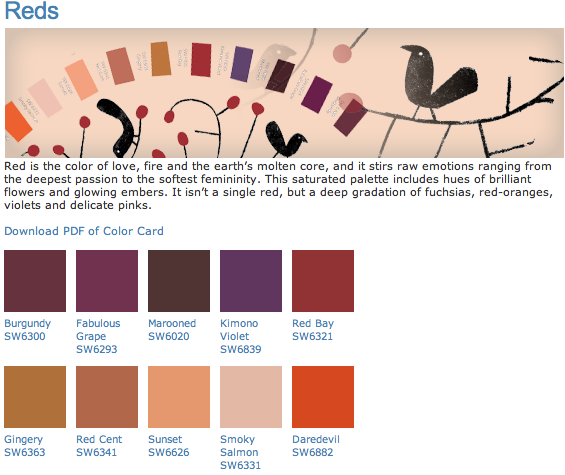 I stumbled upon the Sherwin-Williams 2012 Color Forecast. According to them, 2012 is going to be a beautiful year. 1 comment on "Fall 2011/2012 Color Musings ..."